What do a series of pedestrian walkways that weave through China’s mountains, a toolkit for social care workers, a bright yellow factory building, and smart face-masks have in common? Design impact — human-centric, and beautifully conceptualised and executed. The President’s Design Award (P*DA), jointly organised by the DesignSingapore Council and the Urban Redevelopment Authority, celebrates the impact of design in enabling economic transformation; raising the quality of life; and advancing the Singapore brand, culture and connecting communities. The award also recognises ground-breaking achievements in the field of design. Professor Kristin Wood, co-director of the SUTD-MIT International Design Centre, and head of the P*DA 2018 knowledge partner team, shares more on exceptional design that goes beyond aesthetics. Good design constitutes products, services, systems, or a combination, that emerge from designers’ well-articulated values and beliefs, to tackle existing issues and create a transformative design impact on community, society, and people’s lives. How is design impact measured? Some may be quantitative, such as an increase in economic value after a rebranding campaign, improved sustainability, or greater employee satisfaction after re-designing a workspace. Others may be qualitative, such as increased positive sentiments, judgements in ethical sensitivities, and a sense of well-being. How does the measurement of impact change the way the P*DA views good design? The P*DA now places greater emphasis on outcome-based design impact alongside the recognition of excellence in design craftsmanship. Designers who bring together diverse skills and work collaboratively across disciplines to address complex issues are given greater recognition. A sunny yellow eight-storey building sits among industrial buildings in Sungei Kadut’s International Furniture Hub, its bright hue a warm and welcoming respite from the utilitarian greys of typical factory buildings. Welcome to Sunray Woodcraft Construction’s headquarters, a winner of the P*DA’s Design of the Year in 2015, imagined and brought to life by 2018’s Designer of the Year, Ms Angelene Chan, CEO of DP Architects (DPA). Ms Chan worked with Singapore’s tropical environment to create a building design that would cater to the different needs of three groups of users: showroom and office visitors, staff and production workers. Factory production and warehouse spaces have horizontal aluminium louvres to provide shade from sun and rain while letting in natural light and ventilation; the deep recesses between the boxed volumes provide people with more entry and exit points, and allow more light to penetrate the interior. The vertical aluminium louvres of the office space offer both shade and uninterrupted views, while the concrete façade of the showroom provides more control over lighting conditions. Tucked away at the rear, the workers’ dormitory features vertical louvres with checkerboard apertures that let in natural ventilation while maintaining privacy, away from workshop activities. 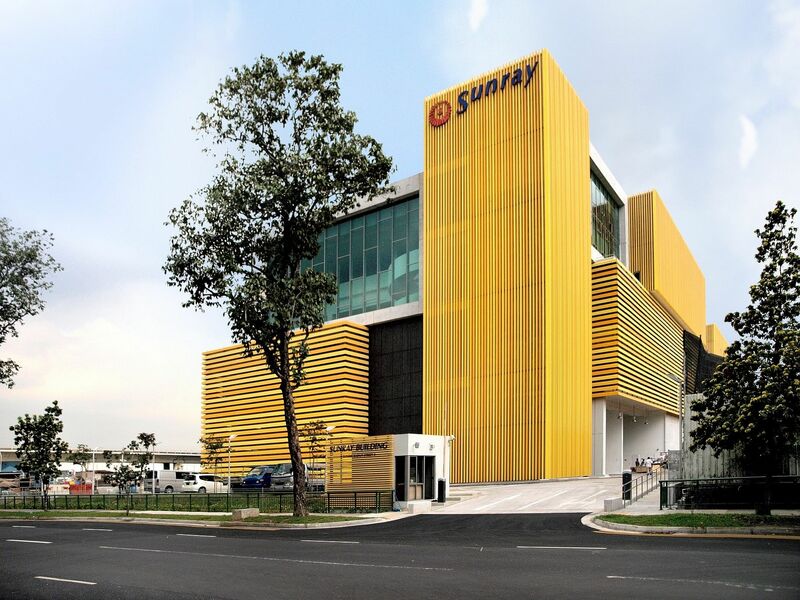 By enabling a seamless flow of spaces and efficient movement of human traffic, Sunray’s new headquarters is a perfect synthesis of DPA’s preference for marrying design with the client’s demands. A winning design can be more than a product or architecture. It can also be a strategy of wide-ranging solutions to a universal problem. 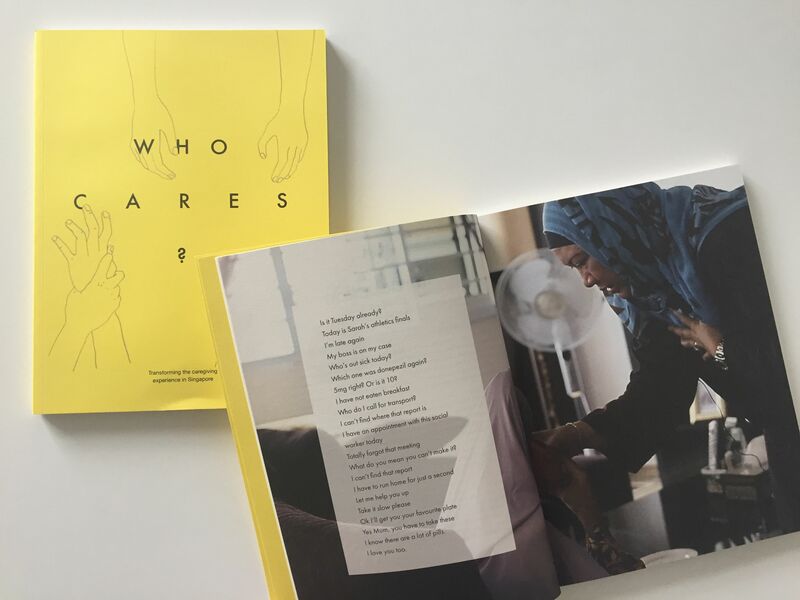 To address the indifference caregivers around the world face, design consultancy fuelfor came up with Who Cares?, after rigorously researching, interviewing, shadowing and filming 10 caregivers. It went on to clinch the 2018 Design of the Year. Who Cares? is a design strategy of seven concepts — From Crises to Prizes, Smooth Care Touch Points, The WayForward Programme, Caregiver Wellbeing, Care Concierge, Compassionate Community and Empathetic Education — with solutions for the future of caregiving from products to services, tools, spaces, policies, programmes and campaigns. For instance, From Crises to Prizes is a proposed service that supports caregivers when they are confronted with difficult behaviour from the person that they are caring for. Through an app, they can record, review and analyse such situations and work with trainers to learn how to deal with such crises in the future. The seven concepts have varying levels of impact — from policy to personal — which are effectively presented through user-friendly and visually powerful platforms that include a toolkit, a publication and seven short films. The short films and book convey the personal stories of 10 caregivers, to enable audiences to better understand the complexity of an otherwise invisible and abstract issue. The result: a remarkable vision for the future of caregiving, with several recommendations and ideas that were integrated into the latest edition of the five-year Enabling Masterplan for Singapore. 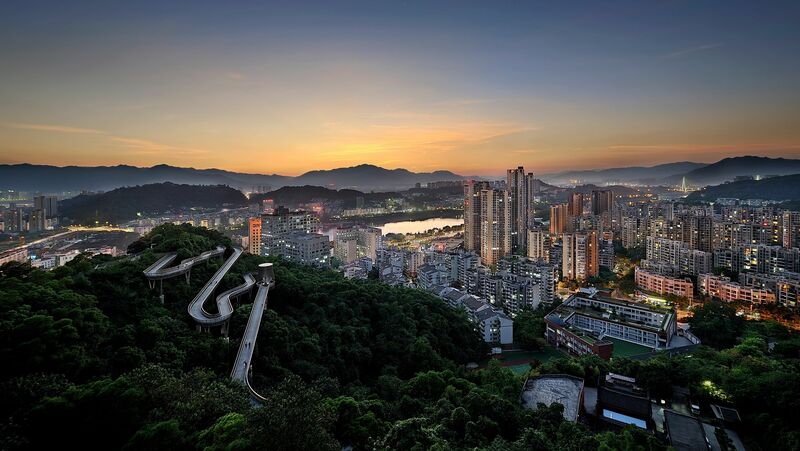 A 19km-long bridge weaves through Jin Niu Shan in Fuzhou’s historical San Fang Qi Xiang district — much like a dragon soaring through the mountains in a Chinese landscape painting. Around it, the lights of a dense cityscape flicker, revealing a seamless connection across both manmade and natural terrain. This architectural marvel — which stretches from the north-eastern bank of the Minjiang River to the West Lake Park — is the China Fuzhou Jin Niu Shan Trans-Urban Connector, also known simply as Fudao, a winner of the Design of the Year in 2018 by LOOK Architects. Led by LOOK Architects lead designer Look Boon Gee, the sustainable walkway system not only provides city dwellers with a much-needed link to the once inaccessible mountain forest, but also preserves the established ecology. LOOK Architects architectural associate Loh Kin Kit says that they “preserved it as a ‘green lung’ that protects the ecological green space, which also contributes to the city in terms of providing fresh air”. This desire to safeguard the landscape and habitat led to the use of galvanised steel grating in the walkway decks to allow sunlight to penetrate the ground level and encourage the growth of low-lying plants. Additionally, the constant 1:16 gradient and wheelchair access ensures that it is a walkway for people of all abilities, with various modern conveniences like rest shelters, observatories and tea rooms with wash facilities. With 10 strategically located entrances, the connector also revitalises existing spaces. For example, the five-storey Jin Niu Shan Spiral Knoll ramp breathes new life into the disused plaza space of an indoor sports hall. “Together, these strategies help to maximise and preserve the natural forested environment for the enjoyment of the residents of Fuzhou,” says LOOK Architects associate Chua Liang Ping. Picture this: an airborne epidemic has plagued the city. Luckily, you have on hand a comfortable face-mask that not only fits both you and your child, but also eliminates the unpleasant build-up of heat, moisture and carbon dioxide after prolonged use. 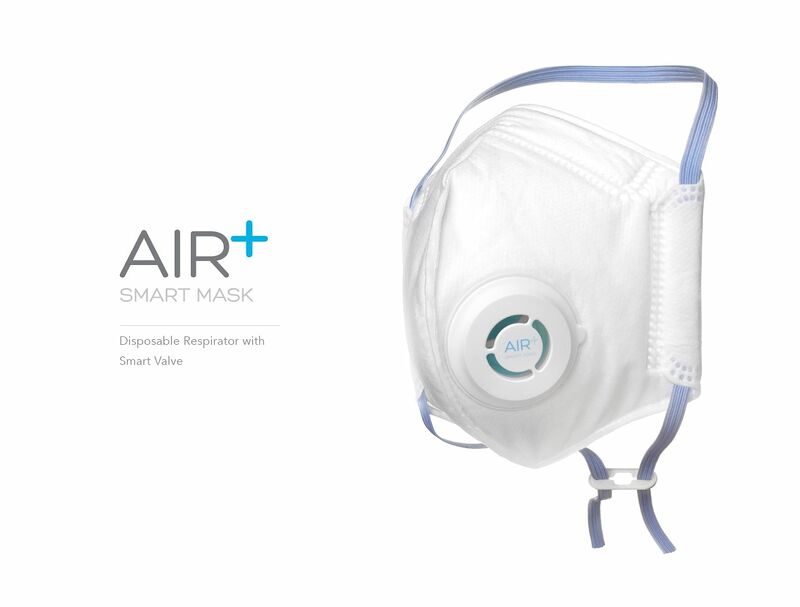 The AIR+ Smart Mask and the Micro Ventilators, designed by the teams at Innosparks (a subsidiary of ST Engineering) and industrial design firm STUCK was a winner of the Design of the Year in 2015. Innosparks sought to create breathable and well-fitting protective masks by measuring the face sizes of Asian adults and children aged seven years and older, as well as studying the breathing patterns of individuals and the airflow dynamics that occur within masks when they are worn. The measurements collected were modelled on computers and run through mathematical simulations before prototypes were created using 3D printing technology. The most feasible designs were then fit tested on adults and children — they now come in small, medium and large sizes to fit typical Asian face profiles. 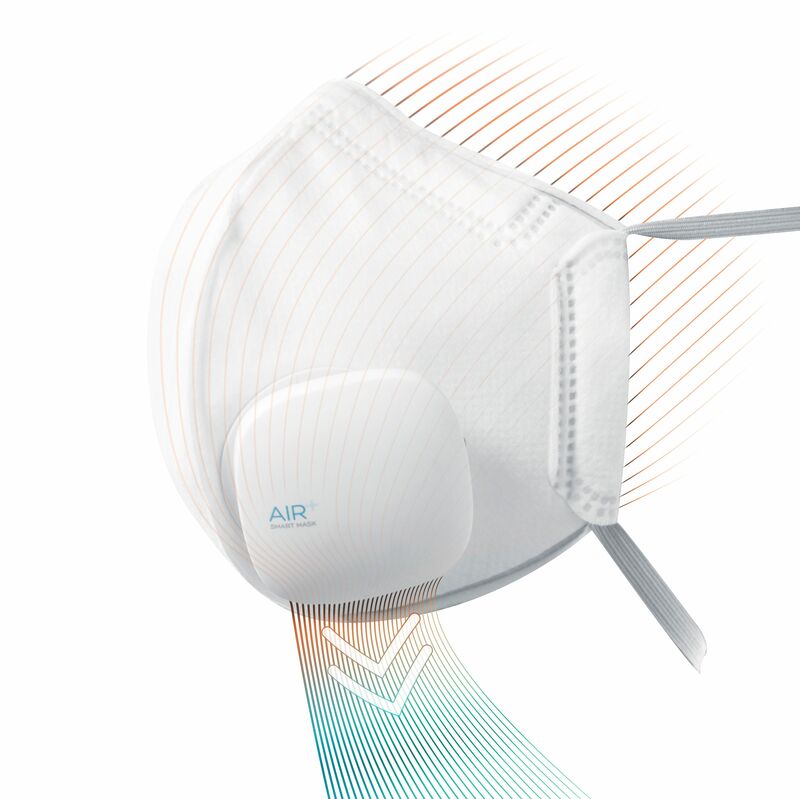 When paired with the Micro Ventilator (the AIR+), the AIR+ Smart Mask eliminates and dissipates the familiar moistness and heat discomfort users feel when exhalations get trapped between the face and mask. Mr Donn Koh, lead industrial designer at STUCK, says creating the mask required the “simplification of the design to an optimum point where performance and functionality met and was hassle-free to use”. The result is a functional product with a “face-friendly” shape and neutral look that is pleasurable to use.